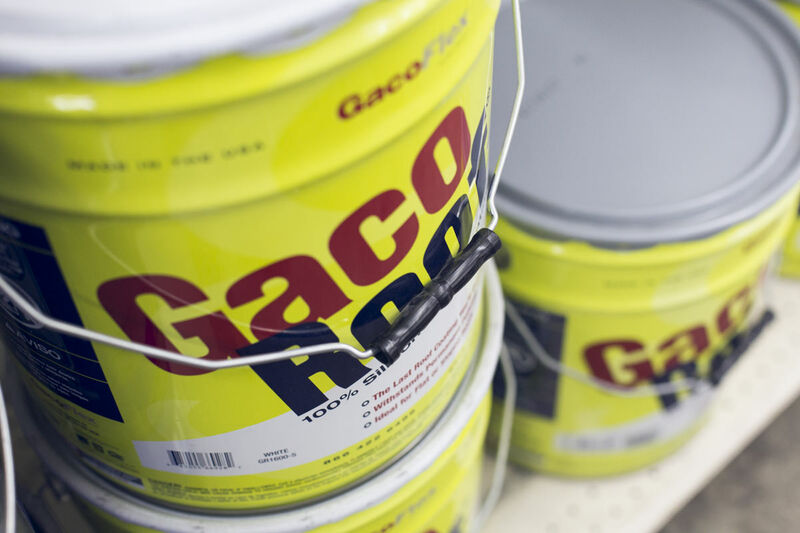 GacoRoof’s slogan goes like this: The last roof coating you’ll ever need. Comparing GacoRoof’s 100 percent silicone roof coating to pretty much anything else is like comparing apples to oranges—there’s really nothing like it. You get what you pay for with GacoRoof, and when it comes to a quality roof coating product that’ll withstand the test of time—and the elements—it’s hard to find anything better. Today, we’re walking through the six steps of a successful GacoRoof application. The first step is to prepare your roof surface. If your roof has three-tab shingles, architectural shingles, tile, slate, Kynar, or a minimally aged commercial membrane surface, GacoRoof likely isn’t the best product for you. If GacoRoof is a good fit, start by removing heavy deposits of dirt, leaves, and other debris from the roof. Once your surface is cleared, inspect it for any open seams, tears, or cuts—these could lead to damage when cleaning the roof surface using GacoWash and water. To patch any problem areas, use LiquidRoofTape, RoofTape, or GacoFlex 66S Reinforcing Polyester Mesh Tape depending on the size of the opening. Wash the roof clean with GacoWash and water, then let dry. Dry time will depend on the weather, but it’s important to let it dry fully—if the roof substrate isn’t completely dry, blistering could occur after GacoRoof is applied. 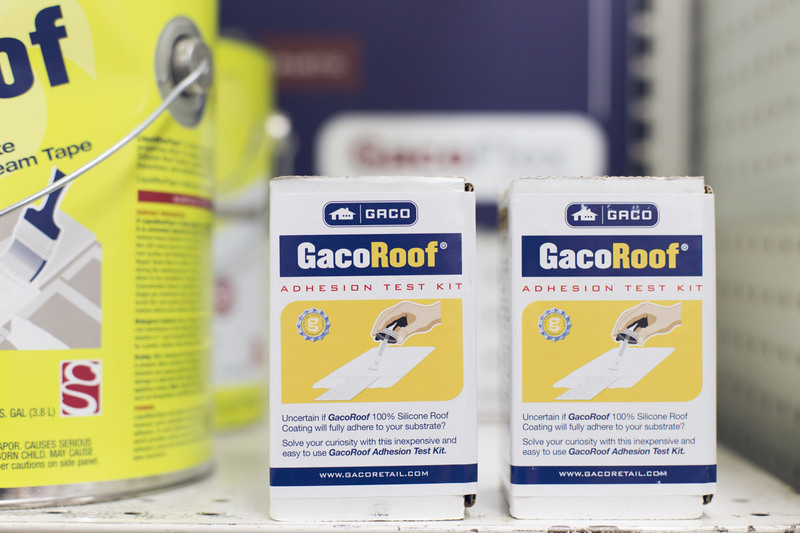 Next, determine whether or not your roof has poor or good adhesion by using the GacoRoof Adhesion Test Kit. If the test shows poor adhesion, use GacoFlex E5320 Primer for optimal adhesion. If it shows good adhesion, there’s no need to use a primer, but if there’s any doubt, go for it anyway—it can’t hurt. 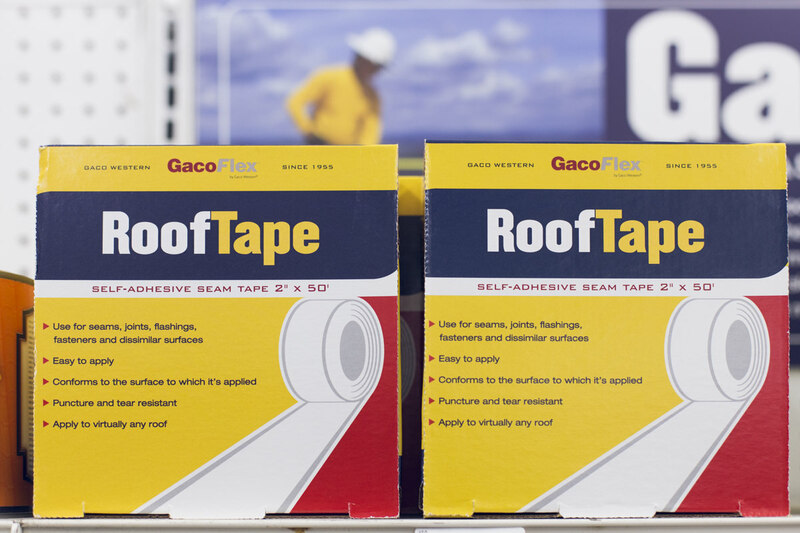 Once the roof has been cleaned (possibly primed) and is completely dry, use LiquidRoofTape, RoofTape, or GacoFlex 66S for joints, fasteners, flashings, and transition areas that need a little more attention. Now that you have cleaned, fixed, and prepped your roof, you’re ready to apply GacoRoof. You likely won’t be working in these conditions, but as a reminder, you should only apply GacoRoof when the existing substrate is above 32° and below 120°. Before you apply GacoRoof make sure you ensure color consistency by using a clean, dry stir stick or mixing paddle. For optimum coverage, apply the first coat of GacoRoof with one color and the second coat with another. In doing this, you’ll know what has been coated and what hasn’t. Be sure to plan accordingly: Two coats are required at a coverage rate of one gallon for every 100 square feet per coat. When planning your project, take the total amount of square feet, divide by 50 and you will have the number of gallons required to do the job. Remember to split the required number of gallons into two colors, and always lean toward applying more coating than less. Once you’ve ensured color consistency, use a roller to evenly apply the first coat of GacoRoof at 16 wet mils. Let dry until the first coat can be safely walked on—this could take anywhere from three to 12 hours. Once the first coat is dry, apply the second coat at 16 wet mils. At a minimum, you should apply two coats and have a depth of 22 dry mils for the finished product. Clean your tools and equipment with 100 percent pure mineral spirits (don’t use water). Mineral spirits are hazardous waste, so contact your nearest hazardous waste recycling center for disposal guidelines. Let unused GacoRoof solidify, then dispose of it accordingly. To keep GacoRoof in prime condition, only walk on it when performing periodic maintenance (remember: this is silicone, so if it’s wet, it’ll be dangerous to walk on). When it’s time to recoat, clean the surface following the steps above, and be sure to only apply GacoRoof over an existing GacoRoof surface. GacoRoof doesn’t require a recoat, but there are some instances where it might be needed, such as when a roof settles over time, when debris or tree branches have rubbed or fallen on the GacoRoof surface, when there is hail or wind damage, or simply when it needs to be thicker or even a different color. 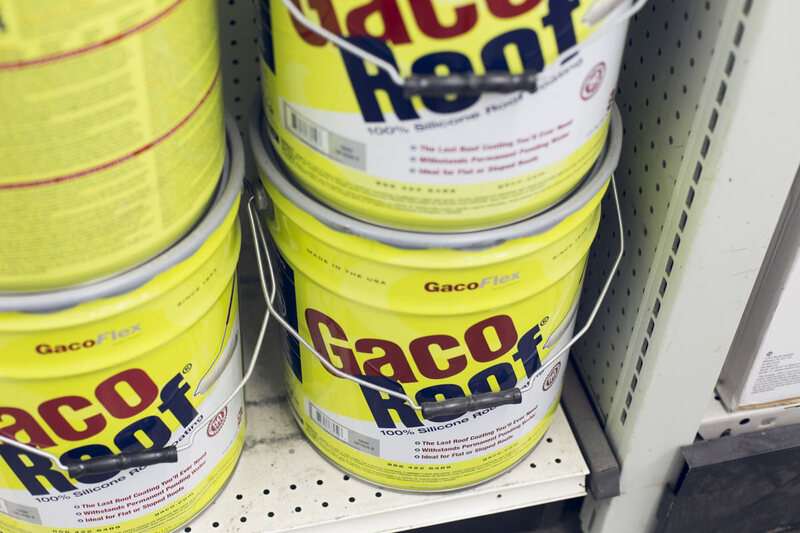 Compared to acrylic products on the market, GacoRoof is truly a product that doesn’t need a refresher coat—just one more reason to use it. In the first installment of our interview series with Gary Katz, Gary discusses the importance of a professional attitude, education, and appearance—for you and your crew. Ron Spillers of West Coast Decks talks about the importance of span charts, footing placement, and the right kind of lumber for your deck's foundation. In this video, Mark LaLiberte discusses progress in energy efficiency, the need for improving training and education, and his hope for a more safe and sustainable economy.